What is this f word (I mean f number) in photography? F is popular not only in Hollywood movies as some word but f number is even more popular among photographers! F or sometimes referred to as f/ number, it simply mean how much shutter opens up while taking a photo. Smaller the number, wider the shutter/aperture opens. f/1.4 means shutter very wide open. Don't get confused by F 1.4 or f/1.4. They all refer to as aperture 1.4. The smaller the number, the wider the aperture opens. On a 50mm lens, f/1.4 means that shutter is around 36mm wide (diameter) open!!! On the same lens, f/8 means the shutter will open around 6mm and f/22 means shutter will be open around 2.3mm! How does f number matter for photos? Even though 22 number for f is 15 times bigger than f/1.4 as a measure of diameter, in terms of area or light allowed to pass through in x amount of time, f/1.4 will take in whooping roughly 225 times more light!!! In other words to take in same amount of light as f/1.4 in 10 milliseconds, f/22 will need 2250 milliseconds!!! This article can be very technical but I am going to keep it useful from practical applicability. The higher the f number the smaller the lens opens. The smaller the f number, the lens opens wider. To take in same amount of light (or to get same exposure), smaller f number will need the shutter to stay open for smaller time period compared to a bigger f number. Importantly, f number also determines Depth of Field. Depth of Field is nothing but how much distance is in focus in your camera. With a smaller f number, very narrow band of area will be in focus. Say for f/1.4, if you are shooting an object 2 feet away, only an inch can be in focus. Say like the between 23.5 to 24.5 inches away from the lens!! Now for the same object, if you change f to f/22, a good 5-6 inches can be in focus! As an example, from 18 inches to 24 inches can be in focus. If you taking photos handheld and if you need to have more depth of field, you will need smaller aperture (higher f number). This will require you or the camera to use higher ISO and this can bring in some noise in the image. Here are 3 photos I took of a flower in my backyard. 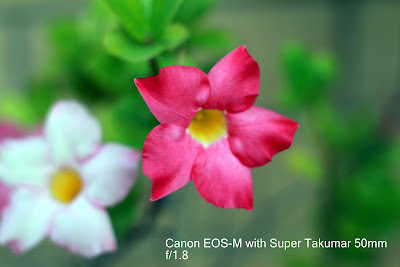 I used Canon EOS-M and a 50mm Super Takumar F1.4 lens. As you can see, at f/1.8, only the flower in the center is in focus! Nothing else! Background is blurred and it gives a nice 3D kind of view! When I changed to f/5.6, the second flower also came in some focus and some top leaves too. Now see the third image when I took a photo with f/16. Both flowers, full plant and some of the wall is also in focus. In first photo, you can't even see that there is a wall behind the plant but in the third photo, you can clearly see it. Also with respect to point number #4 above, the first photo has ISO of 100. The image has no noise. f/5.6 required ISO to be at 1250 and f/16 forced the ISO to 5000!! If you see carefully, in the last photo, you can see some noise or graininess. Once you buy your first DSLR, you mostly get disappointed by indoor or low light photos. Probably you expected your sort of expensive purchase to do wonders but most of them with their ordinary kit lens can do little bit batter than compact cameras but when light is really insufficient, they don't have magic to take great photos. This then takes you in your next pursuit for a camera that can taken nice photos indoor or in low light. You can run variety of searches for low light performance of Canon 700D vs Nikon D3200 or T4i vs Sony NEX cameras. You will read conflicting opinions and will likely to get lost. In my opinion, there is not much difference between any Canon or Nikon, or Sony or Panasonic which have similar sensor sizes and are released in the market not much apart in time. I would advise you not to get lost in the war of Nikon Vs Canon. Here is a 2 minute primer for you. Which camera works better in low light? Remember these quick rules for low light shooting. It is the sensor size and sensor technology that determines the performance of camera in low light. * Bigger the sensor, the better the camera works in low light. * Newer the sensor, usually the camera works better in low light. An APS-C sized sensor of Canon XS or XTi does not work as good as same sized sensor in Canon 650D or T5i. 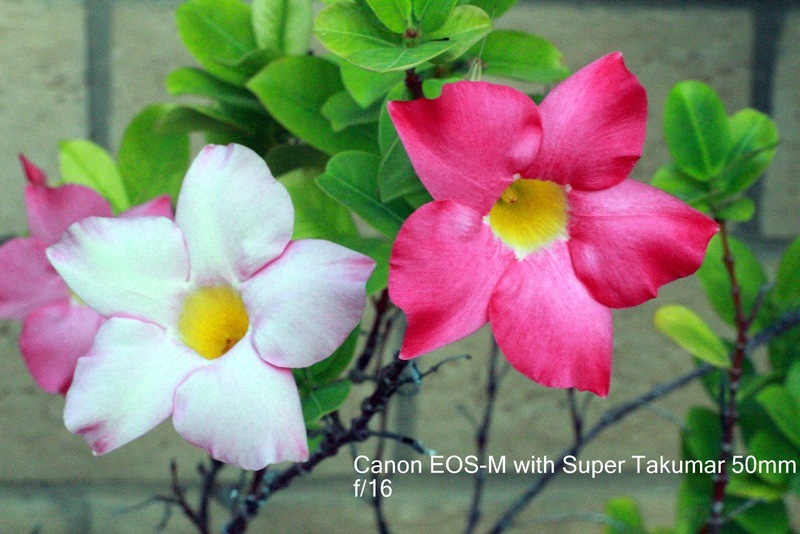 Canon XS photos with ISO800 may not be usable but T5i photos with ISO 3200 may be totally usable! Last but not the least, most kit lenses are very very slow. Most kit lens are F3.5 which are not that great when it comes to take in light. If you want to have better low light performance, you can buy fast 1.4 or 1.8 lens and your ability to shoot in low light will go up exponentially. What an F1.8 lens can achieve in low light compared to a F3.5 kit lens, spending even $1000 more on camera body can not do! If you are going to stick to kit lens only, your best bets are Canon EOS-M that comes with 22mm F2 lens or Pentax K-01 which comes with 40mm F2.8 lenses. I have both of them (and had some other regular DSLRs too) and I can say that they take much better photos in low light than T4i or D7000. 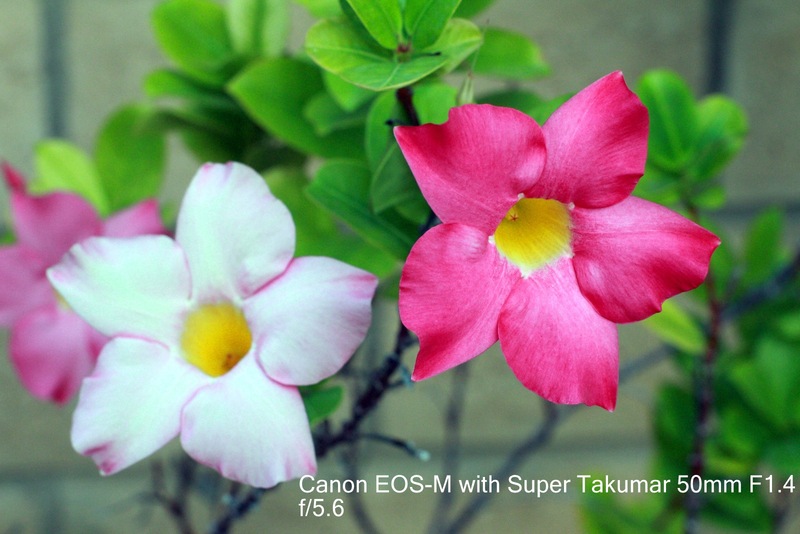 Both of these camera bodies have top tier sensor size, technology and image quality. Now 700D (t5i) does have a good lens but it will cost 2-3 times more than the two cameras I have listed above. With the money saved, I would buy a fast 35 or 50mm F1.4 lens and most people would wow at your low light photos. Now if you are taking low light photos, see what you are shooting. If you are shooting people or pets, even a tripod will not help you. Most of us move quick enough and will produce a blurry image. Now if you are taking photos of still objects, a tripod can come very handy. There is no simple set up for this but I would keep ISO to 100 (unless you are taking photos of plants where leaves can move or you are shooting the Moon of any even slow moving object), and f at 8-11 in Av mode. Or f at 2 to 5 if you need faster shutter speed and narrower depth of field. Will write more about this later some time but till then, please remember that it is not the camera that takes better photos; it is you who can take better photos with most cameras in most situations by becoming more pro-active. In last one decade more animals in the zoo are shot with digital cameras then the animals shot together over last 1000 years LOL. Once you buy a camera, it doesn't cost much to keep shooting.